Former Manchester United star Alan Brazil has advice the club to get rid of Paul Pogba after it was reported earlier today that the French man had a bust-up with Jose Mourinho. 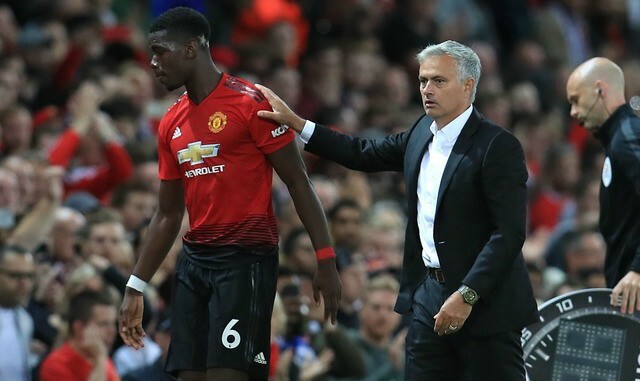 It was reported earlier today that Pogba had a bust-up with Jose Mourinho and the United manager has dared the France international to hand in a tranfer request. Paul Pogba has been a transfer target for Barcelona since the opening of the transfer window, report has it that the United midfilder wants to sign for the club. Before the World Cup, there has been some mis-understanding between Mourinho and Pogba, though Mourinho praised the World Cup winner for his performance in their opening game of the season, it is still said that the two are not still in good terms. Earlier today during Sports Breakfast show, Alan Brazil reveals it's time United sell Paul Pogba and also said he is not happy with the player. 'The way he struts about, if he was playing eight-out-of-ten every week then I'd say, "well he's got a point", but he doesn't! Do you think Manchester United really need to get rid of Paul Pogba?